For a rural family vacation, it's hard to beat the farmhouse B&Bs, forested hike and bike trails, and sophisticated culture and cuisine of Europe's Grand Duchy of Luxembourg. While the tiny country of Luxembourg is little known to most Americans, European families consider it the source of some of the most unspoiled recreation areas in central Europe. With all of the national parks to conquer, some may ask why any American family would want to go hiking, mountain biking and adventuring in Luxembourg. Well… its pleasures are akin to those of skiing in Europe: memorable meals, the thrill of doing something you love in a new place, an interesting crowd and, for kids, the potential for many wow! moments. Luxembourg’s location between Belgium, France and Germany guarantees a diverse, multi-cultural outdoors experience that can be fit in between any Great Cities sightseeing stops. And on your return from the continent, the family will be able to boast they’ve been to the world’s only Grand Duchy, as well as to the Grand-Duche de Luxembourg (French) and the Grossherzogtum Luxemburg (German). For Americans, the closest international entry is Brussels, Belgium. However, those making a Grand Tour of Europe can fly Lux Air and other European carriers from Paris, Amsterdam or Brussels, and the TGV train from Paris takes only two hours. Within Luxembourg, public transportation by bus and rail is widely available, frequent and cheap, making it possible to tour the countryside without a private car. Most visitors begin or end their stay with a night or two in the hilltop fortress of Luxembourg City. If you’re heading for nature and can only spend a few hours, be sure to “hike” the Corniche, an overlook that offers a grand view of the fortress walls that, like rings in a tree trunk, reveal many eras of the city’s history. Down along the valley floor, bisected by a small stream, are the stucco and slate tile homes of the 18th century which once hugged the base of the fortified Luxembourg Castle. Behind this pastel colored village is a towering stone wall and on top of that, the dramatic Castle and fort that encircles the historic and vibrant new Luxembourg. When you’re ready to plan your stay, you can read more about Luxembourg City and its attractions in FTF’s guide to the city. Families interested in the seeing the country can choose many routes, but we only visited a few. Some families will want to start in pretty Vianden, a town designed to appeal to teens with its nearby adventure park, or in historic Echternach, heart of a hiking route designed for those who like their trails by day and their duvets and fine meals by night. As for potential excursions to the countryside, Vianden is definitely a great choice about an hour from Luxembourg City (25 minutes by train, then 25 minutes by bus). A castle looms over this historic town at the base of a mountain range, and it is absolutely picture-perfect. The fun begins with a safe and slow chairlift from the village of Vianden to the top of one of the closest peaks in the Our Naturparc. During the holiday season, it’s not unusual to see angels and Santas riding up and down, but during our summer visit, most visitors had their mountain bikes with them. Vianden village grew up around the small River Our which makes it a popular summer recreation area. The charming village is also hometown to French novelist-in-exile Victor Hugo (“Les Miserables”, “Hunchback of Notre Dame”). His statue is on the main street and the Victor Huge Home can be toured by the public. The tourist office will provide a map for a walking tour of the town, or a self-guided tour of the castle, or families may engage a local guide. 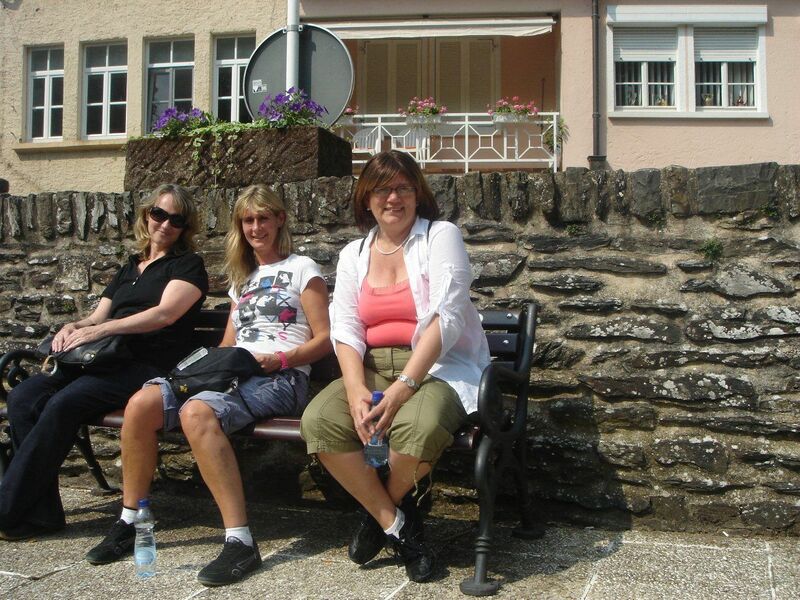 We do love having a guide when touring with kids; during our Vianden walk, we learned that in the old days, European royalty was afraid to go out in the full sun and thus were called ‘blue bloods’ by locals who could see their veins through their pale skin. In the lower town, we had a typical lunch of cured meats, pickles and bread at Le Chatelain, the cafe of the yellow stucco Hotel Oranienburg (03/52/83 41 53-1) at 126, Grand Rue, L-9411 Vianden. This traditional style hotel has large, pretty rooms available by the night. Other quaint accommodations are at the Hotel la Tourelle and the CafÃ© Europa Holiday Apartments, both on the main street appropriately named rue Victor Hugo. The Vianden branch of the Luxembourg Youth Hostel Association (352/ 83 41 77; 3, rue du ChÃ¢teau, L-9408 Vianden) provides a budget choice. It’s a recently renovated historic building in the upper part of town near the chairlift, closed from Christmas Day to January 15th and part of February each year. Families staying a few nights will want to take the chairlift back uphill to hike the forest trails and try zip-ling, available at Indian Forest, a very comprehensive ropes course facility. It is located about a 20-minute walk from the castle along a wooded path. Families can easily spend half a day here, especially with kids of different ages and abilities, because there is so much to do. The on-site trainers outfit everyone in their own harness, and provide guidance to the facility. There are a variety of obstacles to overcome, such as ladders and rope bridges, swings and nets, and the course is well designed, with five distinct paths based on difficulty. Most activities and attractions remain open from early April to late October, when the weather is temperate and sunny, though the town does get winter holiday visitors. For everything you need to know to plan a family holiday in Vianden, visit the Tourist Office Vianden (00352/ 83 42 57-1) at 1A, rue du Vieux MarchÃ©, L-9419 Vianden, or research on their website. Many summertime visitors are drawn by the region’s well-organized hiking. 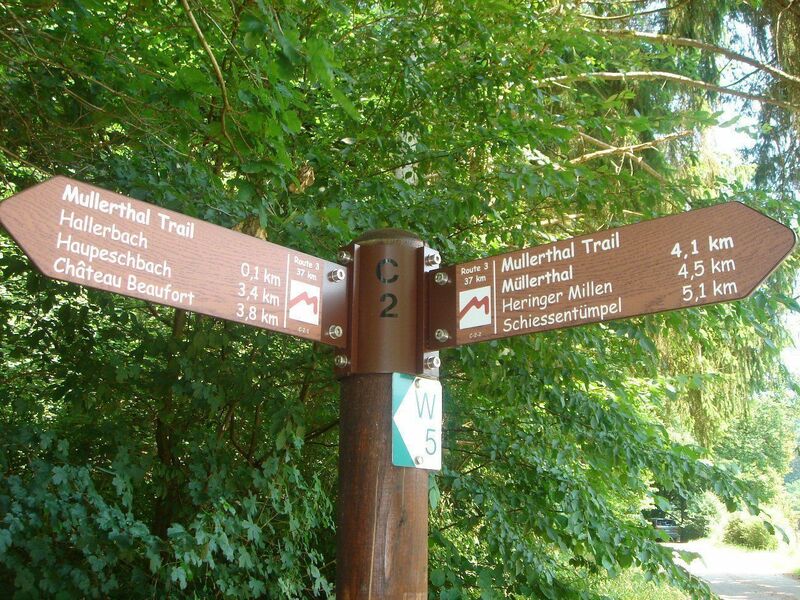 The Mullerthal Trail is comprised of hundreds of kilometers of forest divided into three main hiking routes between the medieval towns of Echternach and Diekirch. 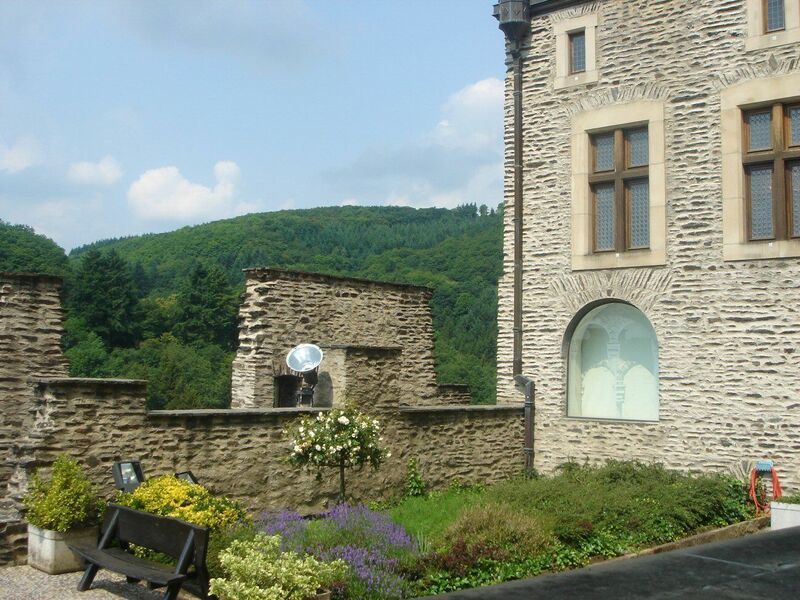 By following the Mullerthal Trail route, families can see the remains of Beaufort Castle, tour the rich historical town of Echternach, visit many sights in the Ardennes, enjoy a micro-climate that supports moose and other wildlife, enjoy great food and very nice accommodations – and at value prices. We sampled the route by spending a morning touring the Abbey of Echternach, founded in the year 698. Its church dedicated to Saint Willibrod has been rebuilt many times, including after its bombing by the invading German army in WWII. Saint Willibrod was known for his good works for children; this, and a pool of healing waters below the basilica make it the site of a large Pentecostal procession on Whit Tuesday in late May each year. Today the imposing lemon-yellow, stucco and stone Abbey includes several out buildings housing a high school, an Orangeries style garden with more school classrooms, a small boys’ boarding school and within its walls, several government buildings. Nearby, the Saint Peter and Saint Paul Church is a classic example of the local, multi-cultural architectural style, with an original, ornately painted ceiling; contemporary stained glass art windows; a small graveyard; and a lawn filled with a smattering of Roman ruins in full view of Germany, less than a kilometer away. From there, it was a quick drive to the trailhead at Beaufort, site of a private castle whose ruins can be toured. We hiked into the Beaufort Natural Park to admire the sandstone rock formations and forest, dipped our feet in the flowing streams and had a picnic. Older residents still remember the days when sons were hidden in the forest to prevent the occupying German army from drafting them into service. A government-funded initiative has engaged several small hotels and hostels as Mullerthal Trail partners to offer travelers a chance to walk, hike or bike in the region. They provide private or public transportation to the trailheads; transportation between each village and historical site; a comfortable room with breakfast; ample laundry facilities; and a luggage transport service to the next destination. Echternach has a dozen hotels (as well as rental rooms in a Medieval Tower) and many restaurants and shops, so it’s a popular starting point. The local Echternach Luxembourg Youth Hostel is also budget hotel option, and organizes hiking packages, special events and fun outings. 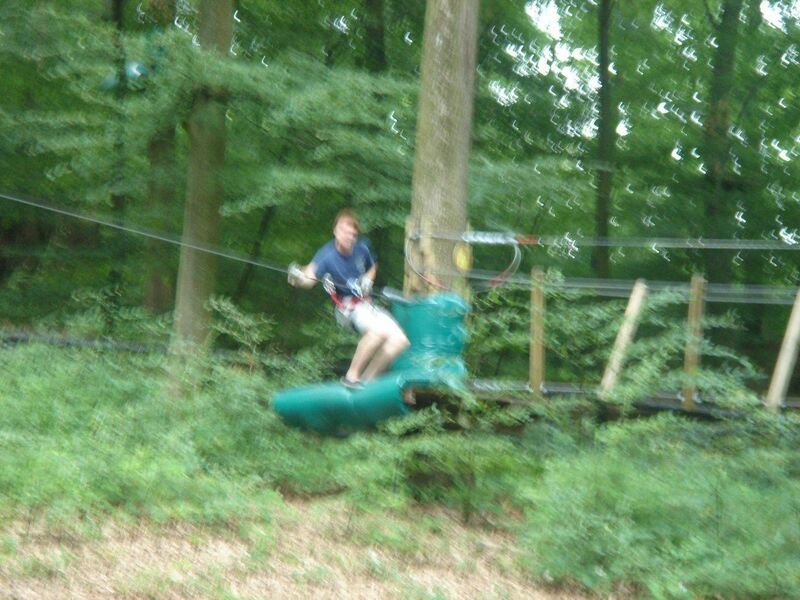 One of their popular excursions is to Adventure Island, on an island at the Echternach lake. There is a 10-meter-high ropes course, a 70-meter-long Flying Fox or zip line ride, swings and more in this private recreation area. From May to September, there’s an inexpensive Tourist Train that gives guided tours of the Echternach town sights. 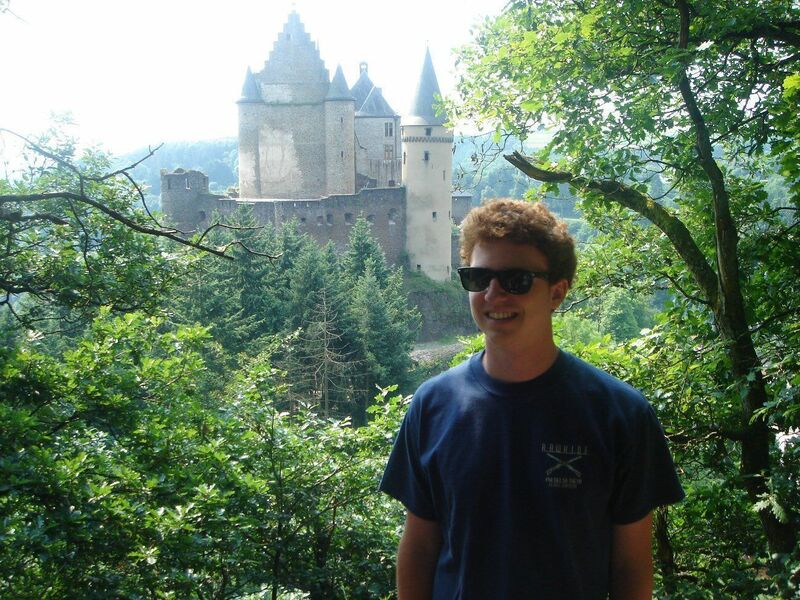 There’s much, much more to little Luxembourg. 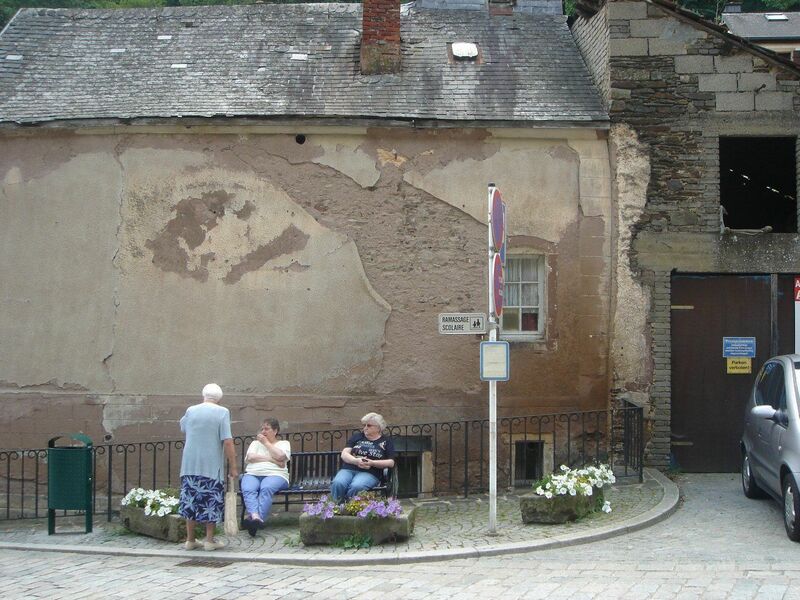 Clervaux, in the Ardennes, is another very popular tourist destination. The picturesque town, set in a deep valley beside the river Clerve, is the site of the Family of Man Museum housing the extraordinary photograph collection of Edward Steichen — Clervaux native, celebrated photographer, and former director of New York’s Museum of Modern Art. Clervaux is home to the Benedictine Abbey of St. Maurice and St. Maur, built in 1910 in the Romanesque-Burgundian style. Troisvierges is another postcard town in the Ardennes, which is the region of Luxembourg whose lakes attract family campers and water sports lovers from throughout Europe. For more information about the country, visit the Tourism Luxembourg site or drop by one of their offices. Luxembourg is well known for its cultural life and traditions. It is one of the most popular tourist attractions. So if you want to explore this city, rent a car, take a map and go places.Luxembourg Car hire will offer a wide variety of cars to suit your rental preferences.